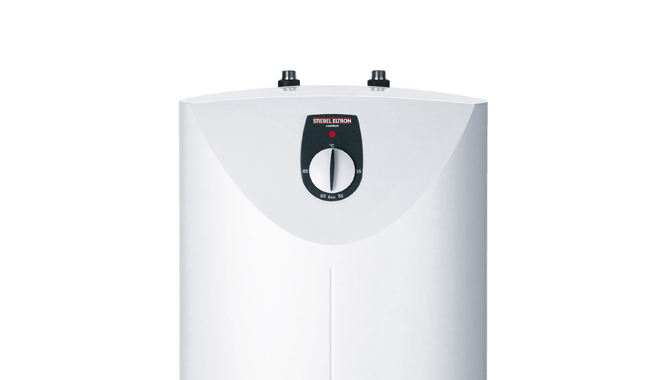 Made in Germany the STIEBEL ELTRON SNU 5 and SNU 10 under sink open vented water heaters deliver hot water quickly to a single sink. 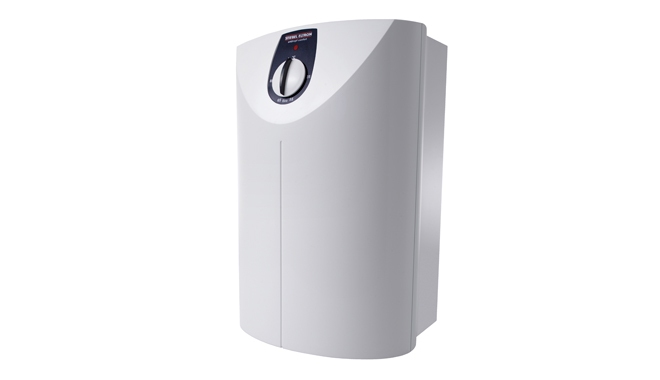 These point of use water heaters eliminate long runs of pipework for isolated sinks and reduce the waiting time for hot water to arrive at the outlet. They are conveniently installed directly underneath the sink and must be fitted with specialised open vented tapware. 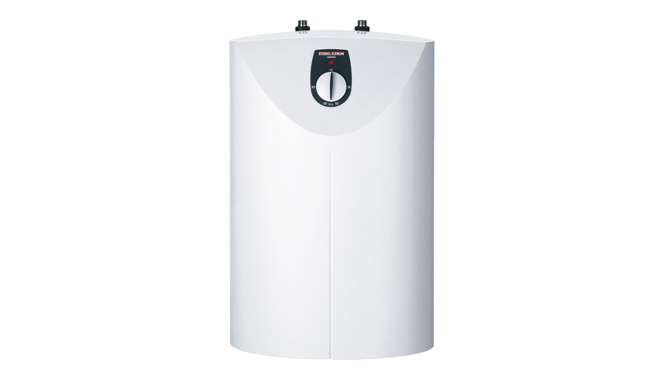 PLEASE NOTE: THE SNU WATER HEATER IS OPEN VENTED AND MUST BE INSTALLED WITH A STIEBEL ELTRON OPEN VENTED TAP (MES, MEW, MESG OR MESA TAP). TEMPERING VALVES, WATER FILTERS ON THE TAP OR NON APPROVED AERATORS CANNOT BE FITTED TO THIS HOT WATER SYSTEM. Please note: The SNU under sink single point of use water heater is open vented and must be installed with a STIEBEL ELTRON open vented sink mixer. 1. Can I install the SNU water heater with my existing sink mixer? No, the SNU water heaters are open vented and require a specialised open vented sink mixer. 2. My SNU 10 drips water from the spout, is this normal? Yes,as hot water heats up and expands it will drip from the tap. This only occurs while heating on the 10 litre unit. The SNU 5, on the other hand, incorporates a Drip-Stop function so the open vented taps fitted to the SNU 5 will not drip when heating. 3. Can I get an SNU water heater that does not drip from the sink mixer when heating? Yes, the SNU 5 incorporates an Anti-Drip feature. The open vented tap will not drip while heating. This feature is not available for the 10 litre unit. 4. Can I connect two taps to the SNU open vented water heater? No, the SNU water heater is designed as a single point of use water heater and can only be operated with one open vented sink mixer. 5. How can I tell what size SNU water heater I have? On top of the water heater between the inlet and outlet, the sticker will advise the size SNU 5 or SNU 10. Within the downloads section of the SNU, you can download a pdf showing you exactly where and how to locate this sticker. 6. Do these water heaters create hot water that is hot enough to make tea and coffee? No, the SNU is designed to provide hot and cold water to a sink. These units are not a boiling or chilled system. 7. If I run out of hot water how long will it take for the SNU 10 to have another 10 litres of hot water available? The SNU recovers at approximately 1 litre a minute. 8. I want to wash dishes in the sink, what size SNU do I need? This will be dependant on the sink size, however, we recommend the SNU 10 if a larger volume of hot water is required. 9. Where can I purchase the SNU water heater from? The SNU is available from all leading plumbing stores.